The US-owned medical software company, Intersystems, wanted to hold an event for all UK staff and partners to say thank you for all their hard work and years of service within the company. The client wanted the evening to have a strong theme that would run throughout the event and include some engaging activities that the guests could participate in. The flooring within the function room needed to be large enough to incorporate a large dance floor with enough space for eight dancers to display an intricate dance routine. The tailor-made design used on the invitations for this gala dinner was then requested by the client to be used on lighting equipment and within the prints from a photo booth that was provided on site. All the table centres needed to be changed a week before the event due to fire regulations! 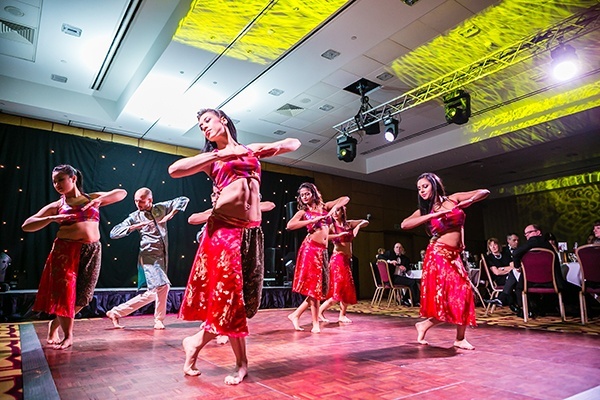 We put forward a Bollywood theme that was reflected throughout the event. 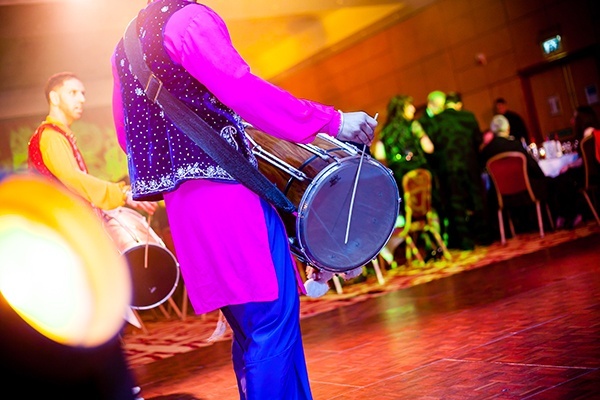 All guests could receive Henna tattoos, enjoy traditional Indian drummers, amazing Bollywood dancers and sample some authentic Indian food for dinner! In addition to this, there was a DJ on site so guests could dance 'till dawn and take some entertaining images in a personalised photo booth with some interesting props!